The developer won over nine other bidders and acquired the former Zouk site located at Jiak Kim Street next to Kim Seng Road. The winning bid was $955.4 million. 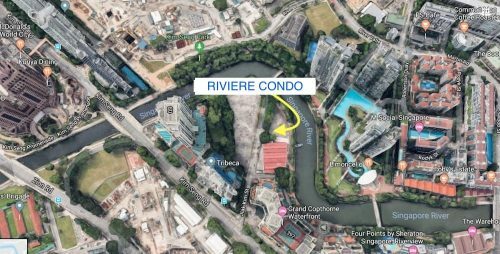 Singapore, Singapore - January 31, 2019 /MarketersMedia/ — It is pleased to announce that the purchase of the former Zouk site, a world-class entertainment institution which will be named officially as RIVIÈRE or rather Riviere, an iconic riverfront development located at Jiak Kim St. The property will be developed as a residential with a commercial site at Jiak Kim Street next to Kim Seng Road. A total of ten bidders participated in the sale, and the offer submitted was $955.4 million. The completed development is expected to consist of about 525 units, plus commercial space of approximately 16,146 sf. The planned Riviere Condo is well located at the heart of Robertson Quay zone along the Singapore River. Nearby are prominent developments such as Martin Place Residences, The Tiara, Rivergate, RV Residences, The Trillium, Mirage Tower and more. The site is also a short walk from the future Havelock MRT station and Great World City MRT station. Once completed, the property will be part of the attractive cluster of waterfront developments packed with food and beverage and lifestyle outlets to make living here more comfortable for its future residents. River Valley properties are on demand by foreigners as well as the locals for various good reasons. There are many benefits to enjoy living in Riviere and the neighbouring developments ranging from unique facilities to incredible shopping options; easy access to other parts of Singapore; proximity to plenty of amenities; to the prestige associated with living here.